Water Damage: With repeat exposure to water, cotton threads can become weakened and rot. Moisture weakens connections between the horizontal and vertical threads that keep the carpet together. Unusual stiffness felt when rolling or folding the carpet is typically a sign that water damage that has already occurred. Homeowners should listen for the snap of brittle fibers that have dried improperly after suffering water damage. Pet Attacks: Dogs and pets that habitually scratch are big threats to an Oriental rug. Their sharp and durable claws are capable of slicing and cutting through even the tightest weaves. 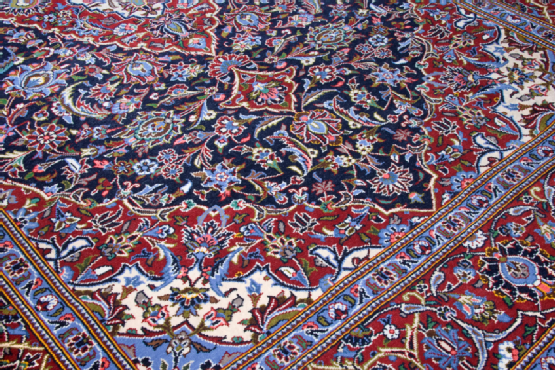 Pet urine is also a unique challenge for Oriental rugs, as the impacts on fibers are more akin to a chemical spill than simple liquid damage. The extremely high ammonia content in pet urine will chemically bond with the fibers of a rug if left to set. This makes pet urine stains extremely difficult to remove without professional help. Insect Invasions: Mysterious cobwebs and sandy debris are two signs that you may have a moth problem. Moths themselves will not eat your carpet, but the hundreds of larvae that lay in your carpet fibers will. An infestation could easily spread to and damage other carpets. Also, watch for signs of carpet beetles whose larvae will similarly target the natural fibers in your rugs. The damage these critters can do to rugs is extensive and will likely require professional restoration services. A bit of maintenance and conscious planning can prevent most uneven wear and sun damage. For the repair problems that put your rug at stake, rely on the experience and skill of the carpet-cleaning experts at Hadeed Oriental Rug Cleaning. Call us at (703) 241-1111 today to schedule an appointment. A clean home is a healthy home. But often times we miss a lot of the dirt that is hiding in our carpets. It’s important for the health of our families to keep carpets clean. Hadeed carpet has been cleaning and mending carpets and area rugs for over 55 years. Keeping your rugs thoroughly clean also keeps them looking like new. Hadeed Carpet specializes in Persian handmade oriental area rugs whichever loosely laid rugs you may have in your home we handle. Hadeed Carpet hand washes rugs in our cleaning plant just as we always have. We started our Wall to Wall carpet cleaning division around 30 years ago. Our main goal is to get all of the pollen and allergens out of your carpet so that people can feel healthier. For more information on Oriental rug repair or wall-to-wall carpet cleaning in the Washington, D.C. area, call Hadeed Oriental Rug Cleaning at (703) 241-1111. If you are not sure how often you should get wall-to-wall carpet cleaning, then this article can help. Use these carpet cleaning tips to keep your carpet in good shape between professional cleanings. Dangerous allergens are more likely to be found in carpet than any other type of flooring. Check out this page to learn more about these allergens and how professional cleaning can get rid of them for good. Find out how to hire a professional Oriental rug cleaning company with the help of this article. Owning an Oriental rug is a great way to add culture and class to the décor of your home. Use these basic Oriental rug cleaning and care techniques to keep your rug looking beautiful for many years to come. One of the best ways to keep your Oriental rug looking and feeling great in between professional cleanings is to vacuum it regularly. Use a suction vacuum, not a beater brush. Vacuuming will get rid of dirt, dust, and debris that settle into the fibers of the rug. If you remove them before they burrow into the carpet, then it will be easier to keep your rug clean on a regular basis. Make sure to vacuum rugs that experience heavy traffic more often than rugs in rooms that are not often used. Whether your rug is stained by wine or pet urine or dirt and grime, it is important to tackle stains immediately to prevent them from becoming permanent. Use a clean, dry cloth or paper towel to blot up as much of the stain as possible. You can also try to wash stains gently with cool water. Use a small amount of vinegar, one cup per gallon of water, to prevent the colors of the rug from running. Getting rid of stains as soon as possible is integral to keeping your Oriental rug in good condition. 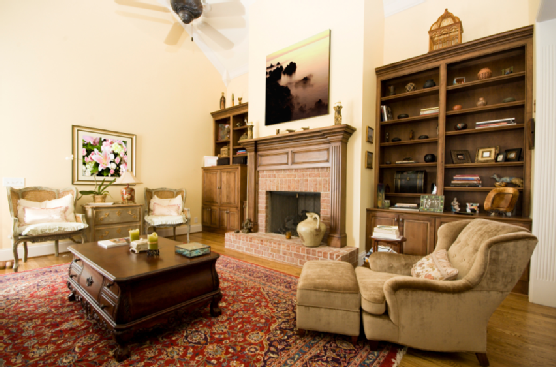 Call a professional Oriental rug repair and cleaning company to keep your rug in top shape. Make sure to have your Oriental rug cleaned at least once a year or after any major spills or stains. A professional rug cleaning company will be able to get rid of tough stains, while protecting the quality of your carpet. Call Hadeed Oriental Rug Cleaning to experience the best Oriental rug cleaners in the Washington, D.C. area. We also handle rug restoration and repair. For more information, visit our website or call (703) 241-1111. How Often Should You Have Wall-to-Wall Carpet Cleaning Performed? Sometimes your carpet needs more attention than just the occasional vacuum and stain-cleaning treatments. Use this guide to determine when it is time to get a professional wall-to-wall carpet cleaning from Hadeed Carpet for your home. When it’s been a year since your last cleaning: Professional carpet cleaners and manufacturers recommend that you have your carpet professionally cleaned once every 12-18 months. If your carpet is in a high-traffic area, then you should call the carpet cleaner at least once a year. Many carpet warranties require yearly cleaning. When tough stains won’t come out: On top of regular carpet cleaning, call in the professionals when you cannot get rid of tough stains no matter how hard you try. Certain stains might disappear on the surface, but if they are not properly taken care of with professional wall-to-wall carpet cleaning, then they might eventually reappear on the surface. When bad allergies affect you and your family: If you or your family is suddenly suffering from bad allergies, then it might be a good idea to have a carpet cleaning professional come in to eliminate allergens in your carpet that could be affecting your health. 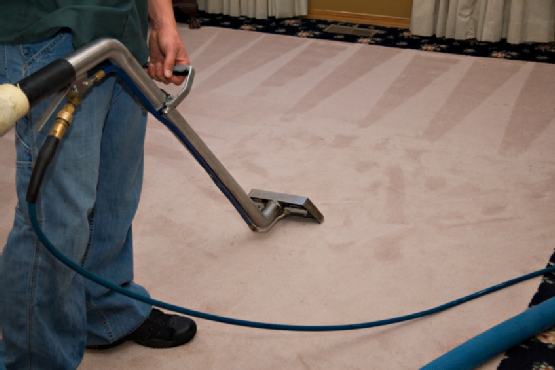 Experienced technicians will be able to inspect your carpet and get rid of unruly odors, decontamination, and mold. Since a carpet actually traps allergens, a professional carpet cleaning might be all you need to get rid of the allergy problems in your home. Call Hadeed Oriental Rug Cleaning for the best wall-to-wall carpet cleaning service in the Washington, D.C. area. We can also help with Oriental rug repair and restoration. For more information visit our website or call us at (703) 241-1111. Rug weaving is an art that has evolved over many centuries. Your Oriental rug not only decorates and accents your home in a beautiful way, it also has an illustrious history that dates back over 1,500 years. It is generally difficult to find archaeological evidence of ancient Oriental rugs because wool, cotton, and other materials used in these artistic pieces tend to decay. However, some pieces from rugs were discovered in East Turkestan, which scientists have dated sometime between third and fifth centuries AD. Oriental rugs were originally used for warmth, but eventually evolved into representations of wealth for kings and noblemen. In 1949, Russian archaeologists discovered an Oriental rug in the mountains of Siberia preserved in a large sheet of ice. After an extremely careful Oriental rug cleaning to remove the layers of ice and dirt, tests confirmed that this rug actually hailed from fifth century BC. It became known as the Pazyryk Carpet. The condition and masterful weaving of this rug led scientists to believe that rug weaving was an art that had already been in existence for thousands of years by the time this rug was made. Ancient cultures used plants, roots, and other materials they could easily find to dye wool and create unique rugs. The Persians were known for crafting rugs that were distinct from each other. Archaeologists have found a wide variety of designs, styles, sizes, colors, and weaves that demonstrate a masterful art that they believe has been evolving for the last 3500 years. Take care of your Oriental rug by bringing it into Hadeed Oriental Rug Cleaning. We offer Oriental rug repair and restoration as well as wall-to-wall cleaning for your everyday carpet. Visit our website for more information about the best Oriental rug cleaners in the Washington, D.C. area or call (703) 241-1111 to set up an appointment. An area rug adds color and drama to any room and ties the whole space together. This video offers tips and tricks on choosing the perfect area rug for your home. You can use rugs all over your house. For example, adding a rug to the entryway will create a dramatic entrance into your home and give a great first impression. Make sure to have rugs that work well with the size of the room. An area rug under a dining room table, for instance, should extend two feet past the ends of the table. Either keep all of your furniture on an area rug or off of it, but try not to do a combination. Keep your home vibrant and your rugs and carpet clean with the help of Hadeed Oriental Rug Cleaning. 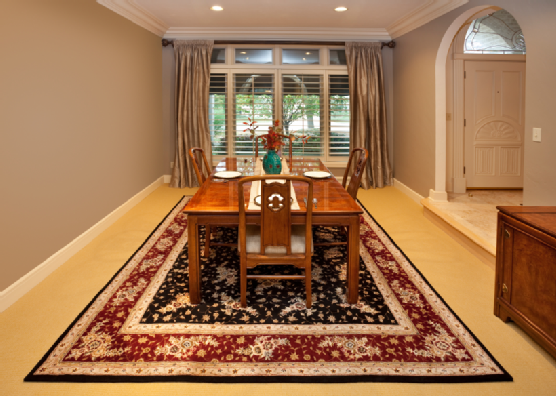 Our Oriental rug cleaning and repair services are the best in the Washington, D.C. area. For more information call (703) 241-1111. When Is The Right Time For Rug Repair? 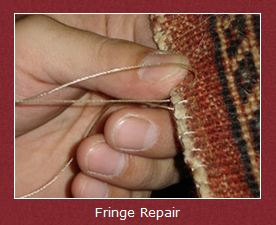 Oriental rug repair is necessary for structural integrity and safety. Use this guide to help you determine the right time to call a professional for an Oriental rug repair. Your rug is fading away: If everyday wear and tear or improper rug cleaning has caused your Oriental rug to fade, then it might seem like the vibrant colors that initially drew you to the rug are gone forever. Constant exposure to the sun or the use of harsh cleaning products strains the dyes and fabrics of your rug, leaving it looking run down. If you notice that the colors are not as bright at they used to be, take it in for repair to restore the richness to the colors in your rug. Hadeed Carpet specialized in color restoration. Your rug is unraveling: Over time, the wool used in Oriental rugs can fall off if the sides or ends unravel. If you notice that the weaving does not look as tight and concise as it used to, then take it in to a professional Oriental rug repair and cleaning company. Without intact serging on the sides, and fringe on the ends, unraveling will only continue, which means your Oriental rug will lose borders. A professional company can reweave the rug so it retains its original condition. 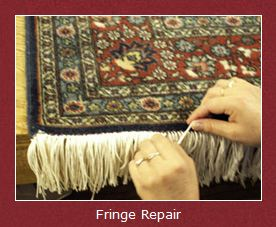 The tassels, binding, and fringe are frayed: When the edges of your Oriental rug start to look a little rough take it into an Oriental carpet cleaning and repair company to have them install new fringe, rebuild each tassel individually, or replace serging that is no longer as effective as it should be. For the best Oriental rug cleaning and restoration in the Washington, D.C. area come to Hadeed Oriental Rug Cleaning. We also offer wall-to-wall carpet cleaning services. Visit our website or call (703) 241-1111 to learn more. Wall-To-Wall Carpet Cleaning By Hadeed Oriental Rug Cleaning! Hadeed Oriental Rug Cleaning‘s Wall-To-Wall Carpet Cleaning Service is out best kept secret. Take advantage of our next day and Monday through Saturday service to get your carpet as fresh as the day you bought it! Whether you need help with odor control, pet stains, or dingy high-traffic areas, Hadeed is here to help you! Our detailed analysis of the job prior to commencement, use of proper tools and cleaning products, coupled with well trained technicians and the best truck mounted fresh water steam cleaning machinery, Hadeed Oriental Rug Cleaning is ready to serve all your carpet cleaning needs. Call us today at (703) 241-1111 for more information about our Wall-To-Wall Carpet Cleaning Service! This article from internetrugs.com will tell you more about the way Oriental rugs are made today, including the tools and techniques of the trade. If you’ve ever wanted to “read a rug,” or learn the meanings of Persian and Oriental rug patterns, then be sure to check out this article from rugs-oriental.net. For more information about how to choose an Oriental rug for your home, check out this article from cnn.com. You can learn more about Persian and Oriental rug care by visiting rugs-oriental.net. A clothes-moth infestation in your home can wreak havoc on more than your clothes—it can damage your valuable Oriental rug, as well. To learn how to deal with an infestation, check out this article from eHow.com. If you will be remodeling your home or installing new carpet, be sure to check out this article from carpet-rug.org for more information about selecting carpet for high-traffic areas. 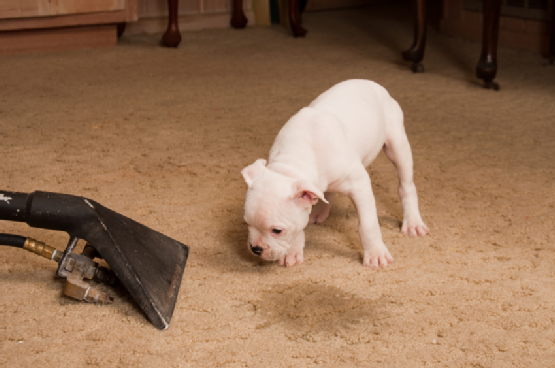 House training your puppy from an early age can reduce the number of stains on your rug or carpet that occur from inside accidents. For some great house training tips, head over to humanesociety.org. This article from tlc.com discusses proper vacuum and carpet-cleaning tips so you can keep your rugs and carpet looking great between cleaning appointments. Have you ever wanted to know how vacuum cleaners work? If so, head over to howstuffworks.com and check out this interesting guide to vacuum cleaners. To learn more, contact Hadeed Oriental Rug Washing and Wall-To-Wall Steam Cleaning at (703) 241-1111.